Why Robert Redford looked better before plastic surgery. My followers should know I love Robert Redford. Like his acting. Like his directing. Like his movies. Not nuts about his political views, but that’s another matter. In particular, I liked his rugged look. But this morning, I fell out of love. Robert Redford has gone the way of Kenny Rodgers, Wayne Newton and others. No, I don’t know that for sure but….. When your husband says, “What happened to Robert Redford?”, you know something’s up. I did and my heart sank. 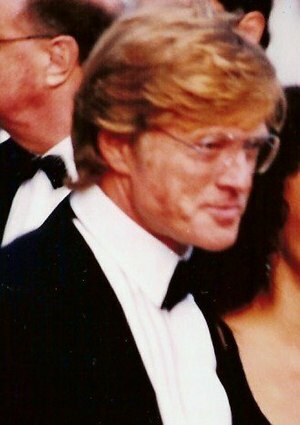 What was once rough-skinned, scruffy-looking Robert Redford now looked twenty years younger touting skin that didn’t look that smooth when he was thirty! I would expect this of some men, maybe, but not Robert Redford. He just always seemed above that kind of thing. I don’t know if I can even watch him in a movie anymore, I’m that disillusioned. Oh, Robert, why did you succumb to such vanity? According to the following article and a few more I googled, he has definitely gone “under the knife” although he has been quoted as saying he never would. (By the way, apparently Redford was making the rounds on television shows so I got to see him again the next day. Yep, definitely had some work done. All those bumps and irregularities on his face gone. Eyes more wide open.) But I have to admit, it’s been well done. I could go on about plastic surgery but I’ll just use two words which should let you know exactly how I feel about i…… Joan Rivers. If Tommy Lee Jones ever does this, I will have to pull the covers up over my head and stay in bed ’till the shock wears off. It’s not that I think plastic surgery is wrong. But when good-looking people who are aging gracefully end up looking like caricatures of themselves, I just don’t get it. Think Meryl Streep and Sally Field, women who are still beautiful without any help. Or if they have, it’s very subtle and natural looking. Oh, well, maybe if I had millions of dollars I’d have some “work” done too. What do you out there in blog land think? When is plastic surgery too much plastic surgery? At what age? Love to hear your thoughts. Gotta’ go wipe away my tears. Botox does more than freeze a face. Read on. Seriously, why did Robert Redford have to do that? I so preferred his “craggy” good looks. No!!!! Say it ain’t so! This was news to me about Robert. And he has always been one of my favs, too. I think I just like the way he carries himself, on and off screen. I will have to take a closer look next time I see a pic. Oh well! It is so. How sad, huh? But I still like him. Thanks for commenting. I always think it’s sad when people have work done because I think older people are beautiful. Yes. There’s something to be said for the “tracks” experience leaves on our face. Thanks for commenting.